SORRY WE ARE SOLD OUT!! PLEASE BE PATIENT AS WE WORK HARD TO BRING IT BACK SOON! 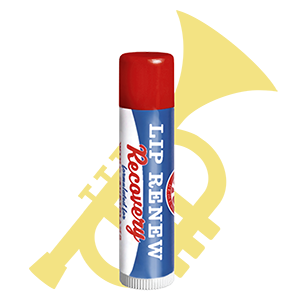 Lip Renew Recovery is the first and only lip balm stick created to speed your recovery from difficult gigs so that you are ready to play the next day. Years in development and testing by professionals, our patent pending formula is free of wax, petrolatum, paraffin or camphor. 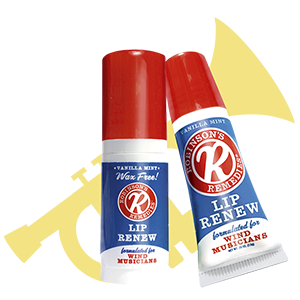 This extended release formula moisturizes while it removes lactic acid build up in the muscles, oxygenates the blood and reduces swelling. Our delicious vanilla mint flavor soothes and gently cools too. 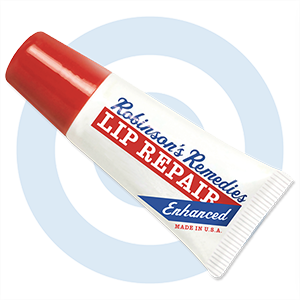 It’s the perfect choice to keep you ready between gigs!